Is the Western arms lobby ‘manufacturing’ Russia-India friction? 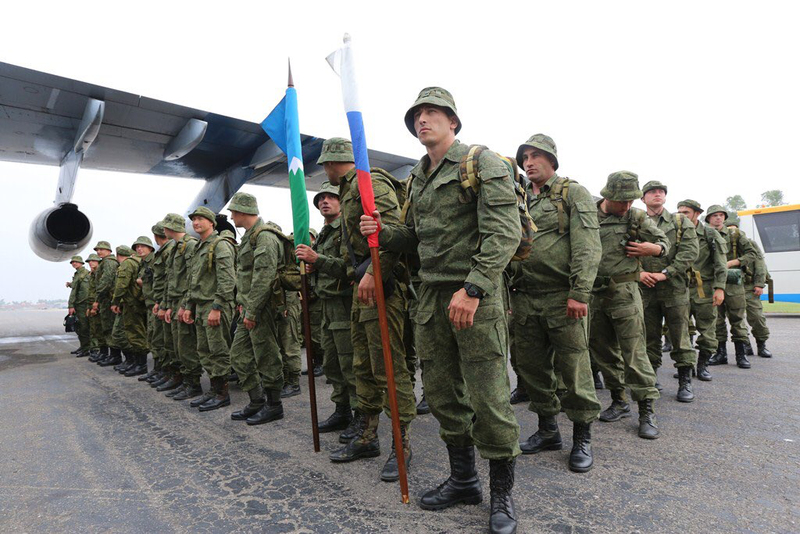 A contingent of Russian ground forces arrived to Pakistan for the first ever Pakistan-Russian joint exercise. What the Russian media writes on the issue is totally absent in the Indian discourse on Russia-Pakistan bonhomie. Sometimes, gross lack of general knowledge results in equally wrong inferences. The first-ever Russian-Pakistani military drill in the territory of India's arch foe (in 2016) has to a great extent rocked the long-established trust between Moscow and New Delhi, especially in the wake of the terrorist attack on the Indian military base in Uri in September 2016. Although Russia was the only member of the United Nations Security Council, which had specifically mentioned that the terrorist attack was “committed from the territory of Pakistan,” many in New Delhi have begun to doubt Russia's reliability as a strategic partner. Will the entry of India and Pakistan paralyze the SCO? This chorus grew even louder with the Pakistani media reports about Moscow allegedly seeking to join China-Pakistan Economic Corridor (CPEC). Interestingly, these kinds of stories are mostly spread from Islamabad, with the clear aim of driving a wedge between two old friends. Sometimes one can read the handwriting of Western arms manufacturers, who are Russia’s competitors. What the Russian media writes on the issue is totally absent in the Indian discourse on Russia-Pakistan bonhomie. Sometimes, gross lack of general knowledge result in equally wrong inferences. We can clearly see that Russia's actions in the region are guided by its vital national interests and are not aimed at undermining its multifaceted ties with India. For example, recently a respected Indian daily in its Russia bashing described the leftist web portal Pravda.ru as the official government mouthpiece, without realising that the newspaper with such powers ceased to exist with the fall of Soviet Union a quarter century ago. Vinay Shukla is an Indian journalist, who has covered Russia for over four decades. Views expressed in this column are personal. This is an abridged version of an article, first published by the Russia & India Report. Views expressed in this article are personal.